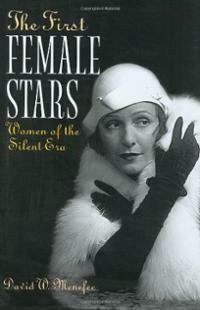 The First Female Stars: Women of the Silent Era rediscovers the fascinating lives and pioneering achievements of 15 women who dared to venture into early motion pictures, an industry dominated by men, and who not only succeeded but became the focal points of the industry. Each star earned a position at the height of her profession, and though many are largely forgotten today, made a lasting and significant contribution to early cinema. In this entertaining and informative volume, author David Menefee reveals these women and their signature roles, drawing on many original sources to show us how such actresses as Theda Bara, Sarah Bernhardt, Dorothy Gish, and Norma Talmadge were received in their time, and the many ways in which their influence remains important today.